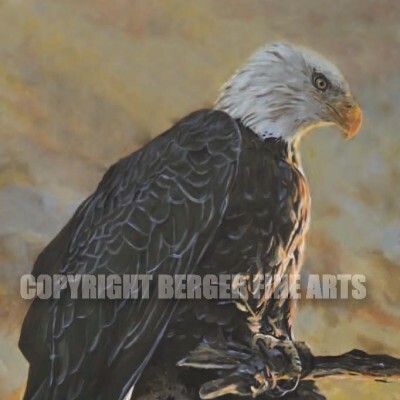 This piece shows an eagle perched watching the sun come up. Signed 12"x 23" giclee prints of this piece are ready for your frame. The original painting measures 2'x 46"and is available for purchase. 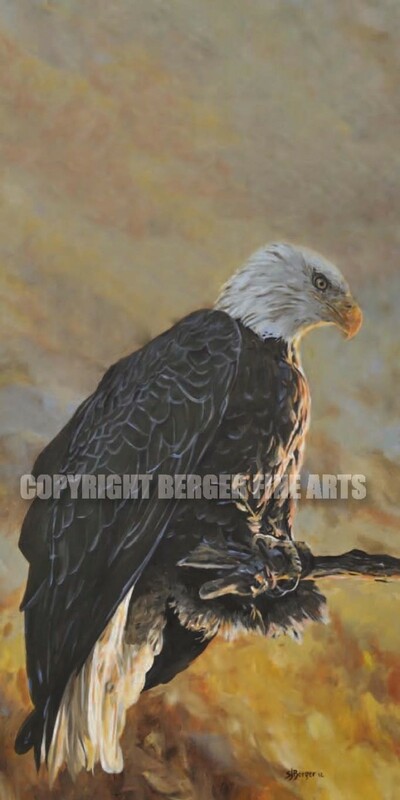 Email: steve@bergerfinearts.com if interested in purchasing.